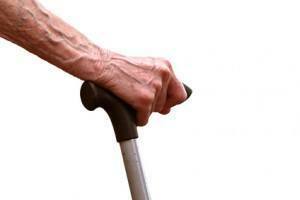 Abuse or negligence in nursing homes is a problem that happens all across Illinois. Abuse can happen in a variety of ways and can often go undetected for weeks or months at a time. Skilled Bloomington injury lawyers that specialize in elder abuse can hold responsible individuals and the nursing home accountable for their negligent actions in a court of law. According to records at City Hall, at 109 East Olive St., the city of Bloomington, Illinois is a charming thriving community that is rising in population. Combined with neighboring Normal, Illinois, there are roughly 130,000 residents. The increase in population is happening across all age groups, especially the elderly, and those fast approaching their retirement years. Because of that, there is a rising sign of neglect in nursing homes on the elderly patients that are there to receive respect and care in their final years. Visible, and not so visible, signs of abuse are often the result of negligence in the nursing home. These can include decubitus ulcers (bedsores) bad hygiene, malnutrition, dehydration, falls, signs of strangulation along with unexplained fractures, marks and injuries caused by restraint. When physical abuse is involved, it is often the action, or inaction, provided by the primary caregiver. This could be a doctor, nurse, or nursing home attendant. Their actions may cause deliberate harm; such is not feeding the patient. Not every sign of abuse is a result of inadequate care. The patient may be the victim of inappropriate sexual contact, sexual assault, abandonment, starvation or beating. Bloomington injury lawyers often file civil lawsuits on behalf of elderly victims, based on medical malpractice at a nursing home facility. This is because the nursing home along with the medical team provided substandard medical attention and care, improper diagnoses, or inadequate supervision over the medical staff. In fact, the experienced elderly abuse attorneys will investigate every aspect of the claim to determine all responsible parties, and hold them financially accountable in civil court. Many times, elderly patients in nursing homes that are being abused or neglected remain quiet for a variety of reasons. Their silence may be the result of being threatened with retaliation by someone on the medical staff, or the belief that innocent caregivers will be held accountable along with the responsible parties. Because of that, it is important that families of the elderly nursing home patients look for emotional signs of abuse when their loved one has become disturbed, reclusive, or obviously depressed. This is crucial because persistent neglect in a nursing home can quickly lead to emotional trauma, physical injury, and many times, death. It is important to bring attention to even the slightest indication of any type of abuse or neglect of the loved one in the nursing home. Any family that places a loved one a nursing home has a reasonable expectation of receiving standard medical care and respect. Sometimes, nursing homes are responsible for the abuse when they failed to provide adequate background checks on every hired employee that provides care for the patients. Without proper vetting, doctors, nurses and nursing assistants with criminal activity records or drug abuse histories are hired into the elderly care system. In addition, the nursing facility might be improperly staffed, where each member of the team is overburdened when performing his or her duties. This can quickly lead to all types of neglect because the employee simply does not have enough time to provide adequate patient medical care and assistance. As a result, the patient becomes a victim when the nursing home breaches its standard duty of care that requires following traditional medical practices including patient skin care, toileting, feeding, and providing medical treatments. If a loved one in a nursing home is a victim of abuse or neglect, it is imperative to hire the skills of Bloomington injury attorney at Rosenfeld Injury Lawyers LLC. The skilled lawyers can file a legal claim against all types of neglect and abuse, to hold those accountable financially responsible for their actions.